However, one is known as Destructive Editing and the other is known as Non-Destructive Editing. What’s the difference and which one should you apply to your edits? 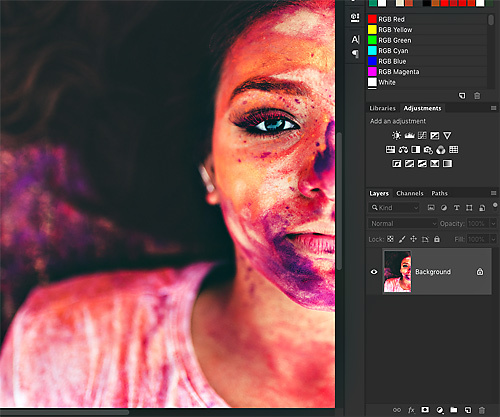 Non-destructive editing allows you to make edits and after saving you’ll be able to adjust the edits at a later date. If you use destructive editing, make a mistake (save and close the file) and then, at a later date realize the mistake… it’s too late! You’ll be unable to undo your mistake (s). Even worse, if you applied desctructive editing on the original file (and don’t have a backup or copy of the original) then, the mistakes are permanent. For obvious reasons, I recommend using Adjustment Layers when editing in Photoshop. Look at both images again. Do you know which one is destructive and which one is non-destructive? HINT: the layers panel (in the images above) shows which is which. 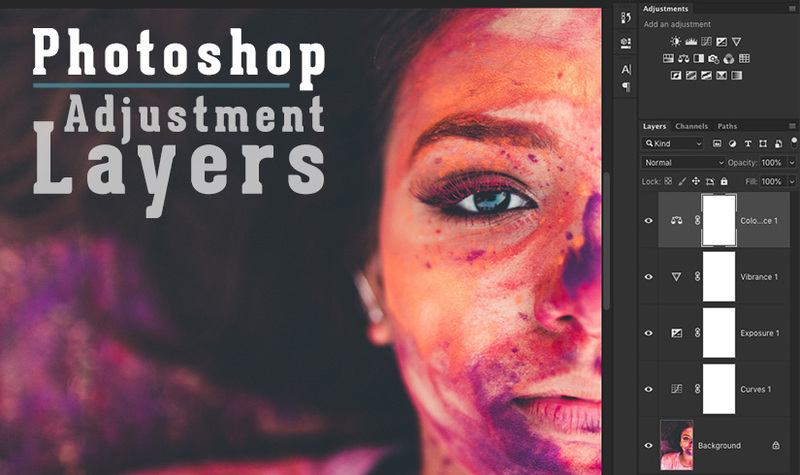 You can access the Adjustment Layers, in Photoshop, either via the Menu or via the Adjustment Layers panel. Also, you’re not limited to just one Adjustment Layer. You can add as many as needed to fulfill your creative vision. 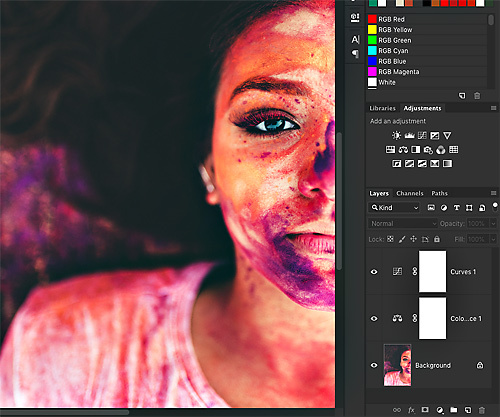 Plus, you can re-arrange the order of the Adjustment Layers, adjust the opacity and more to fine-tune your edit.